We all have a story. How can you live a great one? Join Sarah Heath and learn how to see your life as a great adventure you are co-writing with God. Each streaming session features an individual telling his or her story to spark conversation around the key ideas of What's Your Story? Sarah Heath introduces a new person in each session. Session 1 - "A Great Story and the Call to Adventure” – Sarah Heath discusses what makes a great story, then introduces Mike McHargue, who tells his story about what happened when he left his comfort zone and caused a life shift. Session 2: "The Plot Thickens" - Sarah Heath discusses the role of plot twists in our lives, then introduces Jerry Colunga, who tells the story of his own major plot twist and how he responded to it. To stream a purchased video, login with your cokesbury.com user account, click on My Cokesbury.com, and select Downloads/Subscriptions. Session 3 - "Embracing Desire and Identity" Sarah Heath invites us to consider the role that our desires play in our lives, then introduces Michelle Buessing, who tells the story of how her own desires came to shape her calling and the direction of her story. Session 4 - "Moving Past Climactic Scenes" Sarah Heath reminds us that our stories keep going; there is always another act. She then introduces Dan Davidson, who tells how he experienced a new story when he thought he'd reached the climax of his life. Session 5 - "What's Your Story? 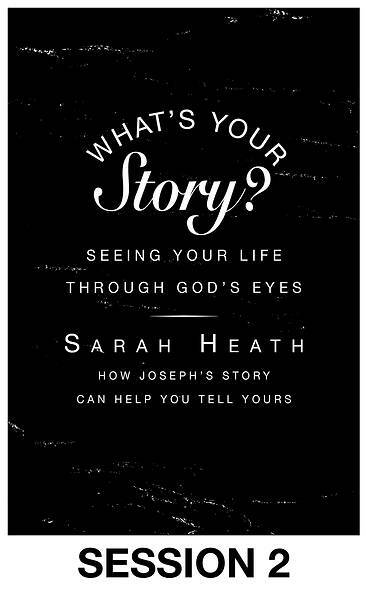 "- In this optional, bonus session, Sarah Heath introduces Michael and Lisa Gungor, who share their experience of telling their own authentic story and the good that has resulted from it. Sarah then encourages you to share your own story with others.